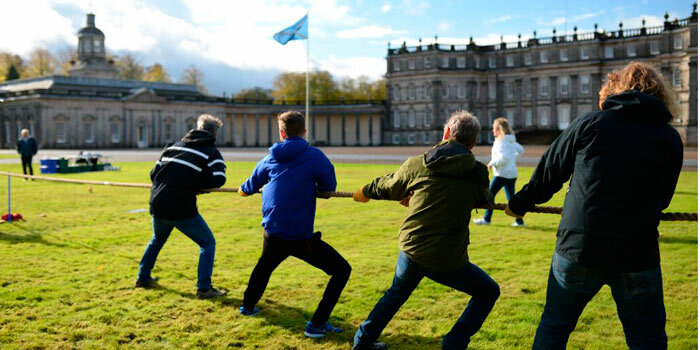 Hopetoun can offer a wide range of outdoor events and team building activities within the 150 acres of grounds surrounding Hopetoun House as well as within selected areas of the 6500 acre wider Hopetoun Estate. The combination of the splendid interiors of Hopetoun House and exciting outdoor activities in such a spectacular location make an event at Hopetoun truly unique. For more information on how we can assist you in planning your perfect event, please contact us through our Event Enquiry Form or alternatively contact us on 0131 331 2451. For some inspiration for your next event please view our Corporate Event Gallery.